Doctors at the University of Chicago Cancer Center pride themselves in the facility's Comprehensive Cancer Center designation by the National Cancer Institute, its collaborative research program and the multidisciplinary approach of its mesothelioma program, which is among the top in the nation. The University of Chicago Comprehensive Cancer Center is one of the world’s leading medical institutions. Breakthroughs achieved at this institution include the identification of the first chromosomal abnormality in leukemia and the development of a new MRI procedure to detect breast cancer in its early stages. rugs cisplatin and pemetrexed prolonged the lives of pleural mesothelioma patients and lessened their cancer symptoms. These accomplishments make the University of Chicago Comprehensive Cancer Center a destination for the diagnosis and treatment of mesothelioma, lung cancer and asbestos-related conditions. The National Cancer Institute designated the facility as a Comprehensive Cancer Center because it maintains the highest standards of excellence in patient care, education, basic science, clinical research and cancer prevention. The study of malignant mesothelioma has been a vital part of this institution for more than 20 years, and its dedicated group of multidisciplinary medical staff provides patients an array of cancer expertise. Dr. Hedy Lee Kindler is director of the center’s mesothelioma program. She is also medical director of gastrointestinal oncology and an expert in the research and treatment of malignant mesothelioma and pancreatic and gastrointestinal tumors. 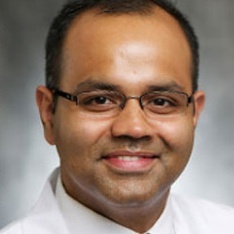 Dr. Wickii Thambiah Vigneswaran is associate chief of cardiac and thoracic surgery, with specializations in surgical care of mesothelioma and hyperhidrosis. Dr. Ravi Salgia serves as director of chest oncology and thoracic oncology research, with specializations in thoracic cancer and mesothelioma research and biology. As part of the University of Chicago educational system, it has direct access to the latest advances and techniques, as well as cutting-edge tools and equipment. These are some of the reasons the center attracts the best doctors, surgeons, nurses and other medical experts, including more than 230 renowned scientists and physician scientists who have worked on collaborative research programs with the university. Genetic cancer research is a hallmark of the cancer center. These clinical researchers practice “translational research,” meaning that their laboratory findings are directly utilized in promising new treatments and procedures, including those for surgery, chemotherapy and radiation therapy. In particular, the cancer center offers intensity-modulated radiotherapy (IMRT), an advanced technique involving high-dose, accurate radiation that spares healthy organs. The hospital’s researchers are continually involved in cancer clinical trials. Kindler is involved in an ongoing clinical trial at the University of Chicago Comprehensive Cancer Center that is testing pembrolizumab on patients with malignant mesothelioma. It’s the only one across the country evaluating the immunotherapy drug on the disease. In addition to the clinical trials, the University of Chicago Institute for Translational Medicine (ITM), which was created in 2007, is improving community health through laboratory research. The U.S. News & World Report’s Best Hospitals publication ranks the University of Chicago Comprehensive Cancer Center among the best in image-guided radiation, patient services and survival. Disclaimer: University of Chicago Comprehensive Cancer Center has no professional affiliation with Asbestos.com.